Abstract: Eclogites with rarely preserved peak metamorphic assemblage omphacite+garnet+phengite+rutile+zoisite+quartz±amphibole are present in the northern parts of the Veporic Unit, in the Central Western Carpathians of Slovakia. Retrogression led to breakdown of primary phases. Apart from inclusions in the garnet, primary omphacite (Cpx I) has been converted to symplectites of clinopyroxene with lower Na and Al content (Cpx II) and sodic plagioclase. This resulted from the decompression to the high-pressure granulite facies stability field. Several generations of amphibole (pargasite, hornblende, and actinolite) are evidence of a transformation down to amphibolite and even greenschist facies conditions. Geothermobarometry on the eclogite facies mineral assemblage garnet+omphacite+quartz+phengite allowed us to constrain the maximum pressure and temperature conditions of around 2.5 GPa and 700 ºC, implying initial subduction to depths of around 80 km. Our study supports previous indications on the existence of eclogites in the Western Carpathians; careful observations can discover high-pressure phases in potential eclogite-facies rocks. 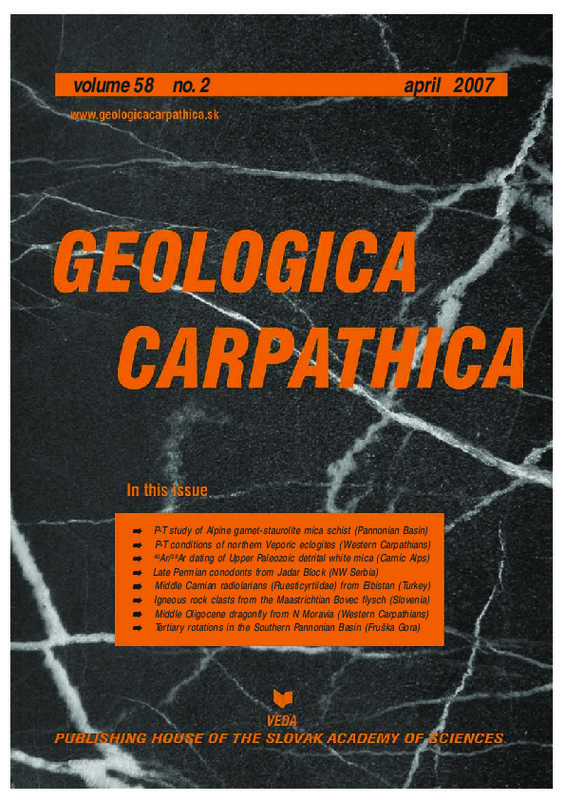 This can be essential to regional correlations and elucidation of the tectonometamorphic evolution of the Western Carpathians during the Variscan orogeny.